Tonight’s episode of Love & Hip Hop Atlanta will be packed full of drama that you won’t want miss. Don’t forget to bookmark this spot and head over to our Love & Hip Hop recap tonight at 8 PM – 9 PM ET! 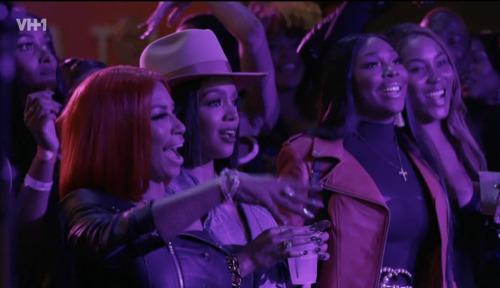 While you wait for our recap of Love & Hip Hop Atlanta Season 7 episode 1, don’t forget to check out all our L&HHH Atlanta recaps, spoilers, news & more! The crew from Love and Hip Hop Atlanta is back for a new season of love, adventure, drama and beatdowns. We all know that nothing is ever simple in the A and it looks like this season will have no shortage of drama and madness as old faces will be replaced by some new and not so newcomers to the A.
Kirk is alone and he wants to win Rasheeda back. She isn’t having any of it. She co parents with him and they talk about business, but other than that Rasheeda is not having it. Kirk has some news he has to reveal to his wife. Tommie is frustrated because her family is taking advantage of her. She has to take care of her mom. Her brother and he kids. She tells them “I need all of ya’ll to help me out so that I can spend more time in the studio.” Her mom tells her “How about we all come together and be one big happy family and you be a big sister to Versace?” Tommie is not happy to hear this.